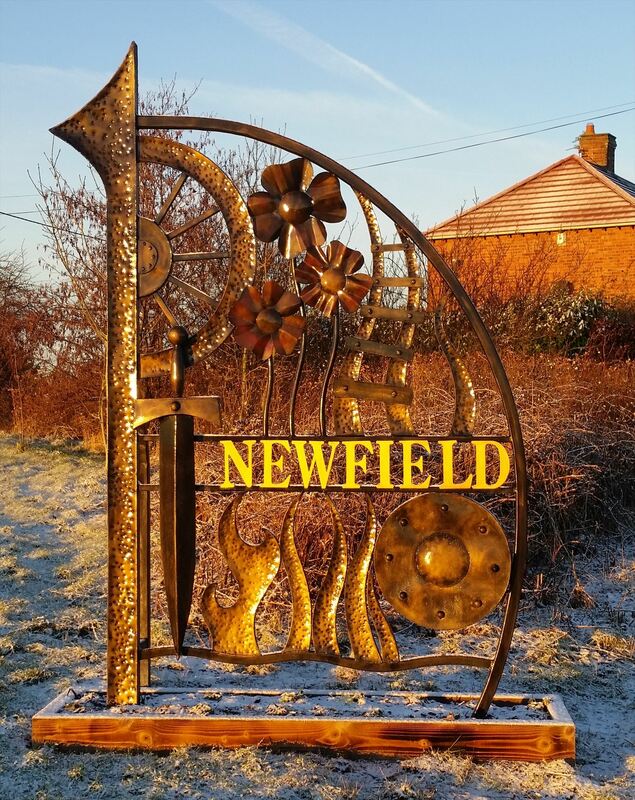 Newfield and Pelton Lane Ends have recently had new bespoke signs installed. These artworks include on them a sword, spear and shield to represent a Bronze Age settlement and a mining wheel and flames to reflect the mining heritage. Railway tracks depict the thriving railway system, once the infrastructure of the villages, while poppies are to remember those who died in war. Graeme Hopper, the artist responsible for the project, worked with local historian Dorothy Rand, staff and pupils of the school and the residents’ association to create the artwork now placed around the village. The cache is a magnetic bottle top (rhino) so you will need a pen(cil).